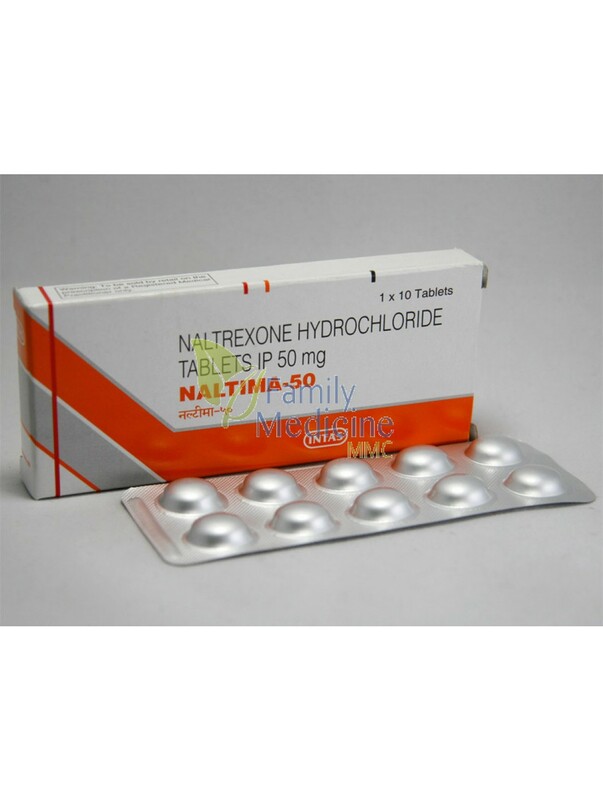 Naltrexone is an Opioid receptor antagonist used primarily to treat alcohol and Opioid dependence. It is only a single component of a program of alcohol treatment that also comprises of counseling, psychological and social support. This medicine could be effective only with the help of a healthcare professional. It aims to decrease the cravings and helps the addicted person remain abstinent. 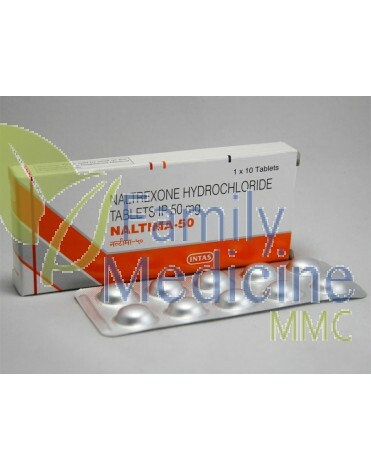 Naltrexone is a potent Opioid receptor antagonist that treats alcohol dependence which in turn prevents the serious life threatening conditions and improves the quality of patient’s life. Naltrexone is an Opioid receptor antagonist and is widely used for the treatment of alcohol dependence. The dosage is solely decided by the Doctor after assessing your condition and various factors such as age, gender and body weight. One can’t fix the dose as it varies from patient to patient. The usual recommended drug 50 mg is given orally. Always take the dose as prescribed by the Doctor. Naltima is manufactured by Intas Pharmaceuticals limited, a big pharmaceutical giant and is available on our website in the pack of 10, 30 and 60 tablets. Always take the medicine as instructed by the Doctor or Pharmacist. Don’t consume the medicine in a greater amount. The dose intake varies from patient to patient. So, doctor will recommend the best therapeutic dose for you. The initial dose for the abstinence of alcohol is 50 mg orally once a day. Consult your doctor before taking the drug. If overdose, immediately consult with your concerned doctor. Take medical help as soon as possible if you encounter any unusual signs and symptoms such as fainting, seizures, fast heartbeat, nausea, dizziness, tinnitus, hallucinations and breathing difficulties. Use this medicine with extreme caution in children, as safety and efficacy have not been assessed or confirmed.